13 July 2017: How ICT build farmer resilience through agricultural technologies… A CABI-led SMS campaign has been commended for its ability to provide farmers with timely information to enhance farmer resilience to challenges caused by climate change and pests and diseases. The campaign is carried out in the Southern Highlands of Tanzania as part of the UPTAKE project. The campaign is promoting the adoption of high-yield crop varieties and complementary agricultural technologies amongst small-scale maize farmers. In November 2016 when the activity began, the Agricultural Research Institute Uyole, a partner in the campaign, issued an alert on delayed and reduced rainfall, based on forecasts received from the Meteorological Department. CABI promptly disseminated the weather information to warn the farmers. The timely sharing of this information supported the resilience of farmers to cope with the environmental challenges. New SMS messages were developed that encouraged the planting of short duration /fast maturing, drought tolerant and disease resistant maize varieties, that were available locally. The messages on good agronomic practices were also rescheduled to accommodate a six week delay in planting. In March 2017 ARI Uyole raised a second alert. This time it was an outbreak of stalk borer. Once again information was promptly disseminated to maize farmers via SMS. 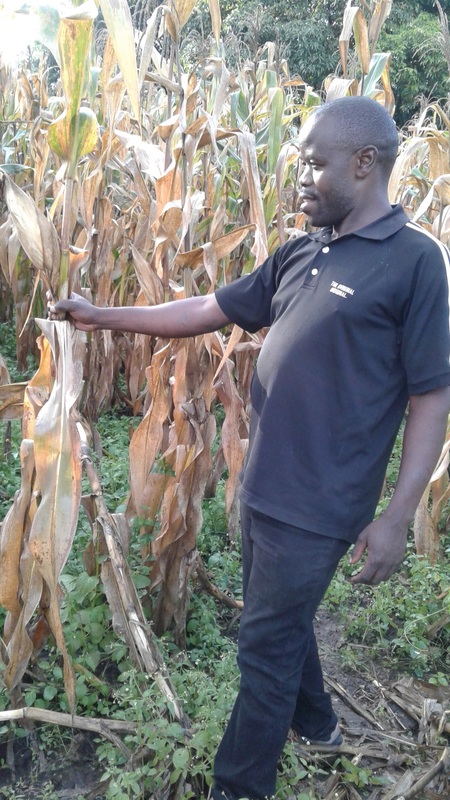 Anthony Mwaisembo, a farmer in Njerenje Village, opines that receiving the SMS and responding to it saved him losses of at least 10 bags of maize of his anticipated 30 bag harvest. 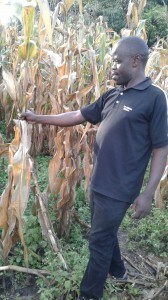 With a bag of maize fetching 50,000 Tanzania shillings (he say’s the sms campaign saved him at least USD 300 – a sizeable amount of income from his two acre farm.